This is Coin Pouch made by Genuine Leather and made in Thailand and Shipping from Thailand This is Unique triangular styled coin pouch, it made from Unique Genuine Leather. This is perfect to fit all your loose change. It can also store small items like Memory Card Coin etc. This will make a great addition to your Pocket or bag. Come with 3 Mix Genuine leather earphone organize. it perfect for gift or souvenir for your friend , Sister or your family. 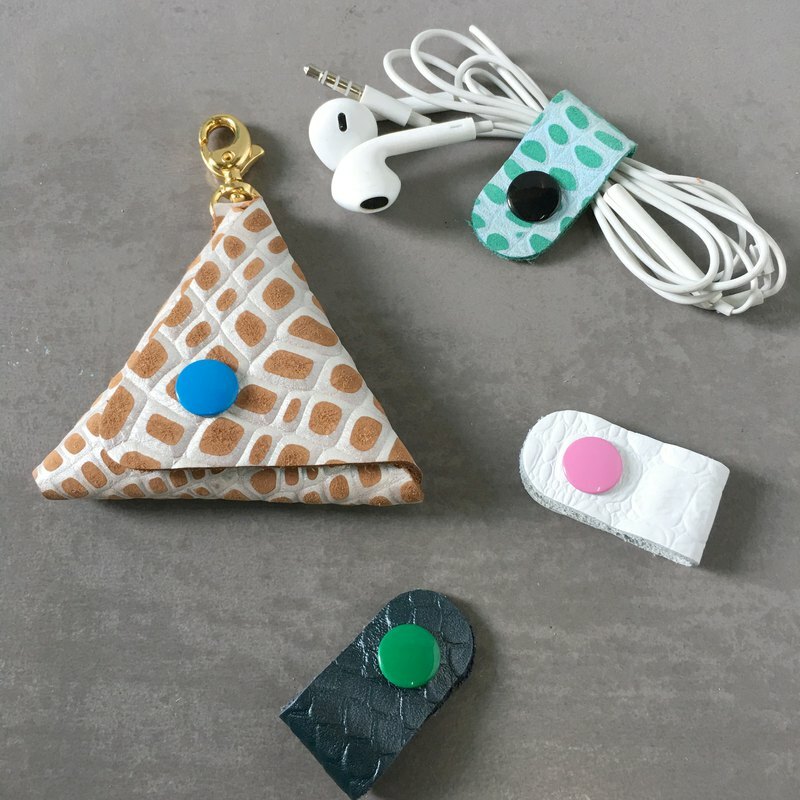 Dimension Coin Pouch 3 " inch each side Earphone organize 1.5" inch P.S.This is perfect Souvenir for Marries , If you want a lot I can make it bulk lot , Mixed color you can buy for sample .